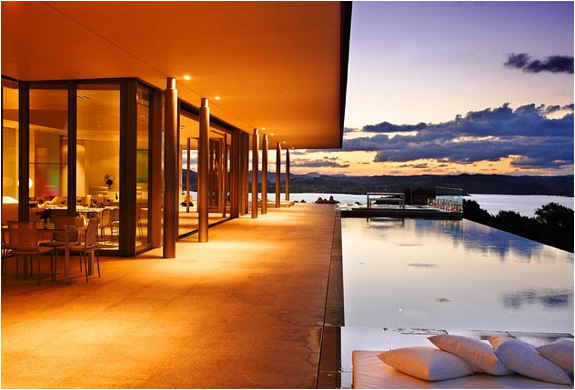 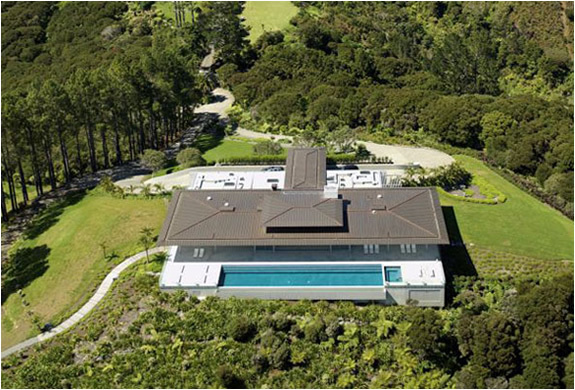 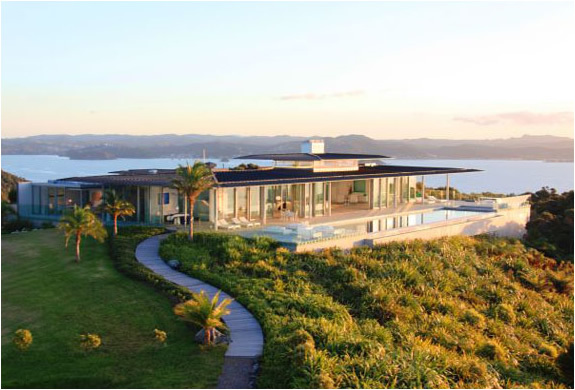 Designed by Crosson Clarke Carnachan Architects, the Rahimoana Villa is part of the beautiful Eagle´s Nest Resort in Bay of Islands - New Zealand. 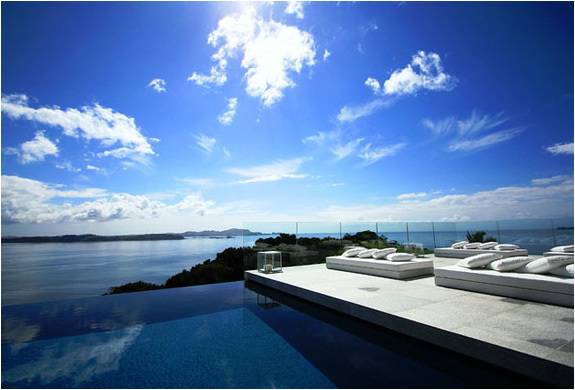 This presidential villa offers stunning 320 degree views of the Bay. 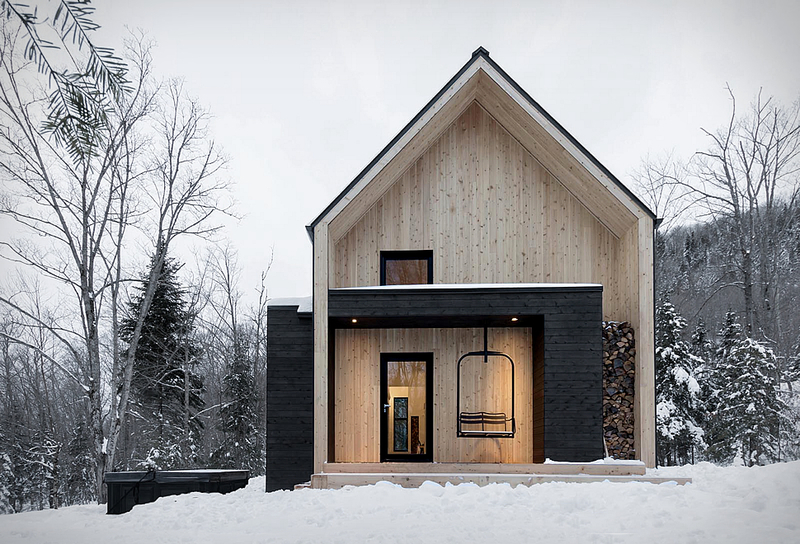 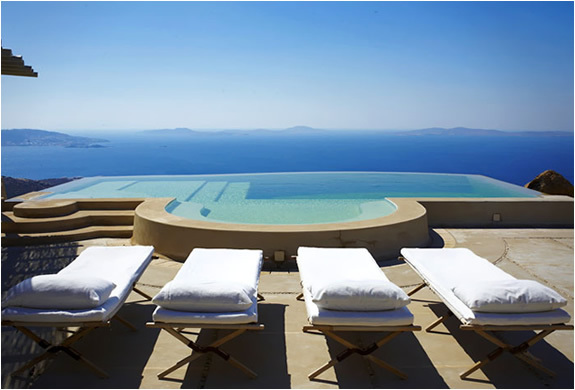 At the Villa you can enjoy a a state of the art gym, heated Jacuzzi, sauna and a heated infinity swimming pool. 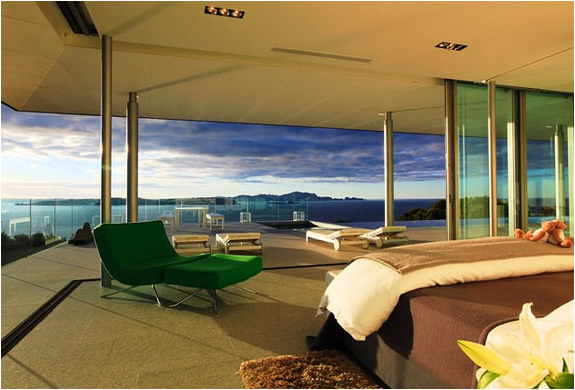 Private amenities include a Porsche Cayenne to experience the idyllic landscape, a personal concierge, and daily maintenance of the villa´s guests clothes.